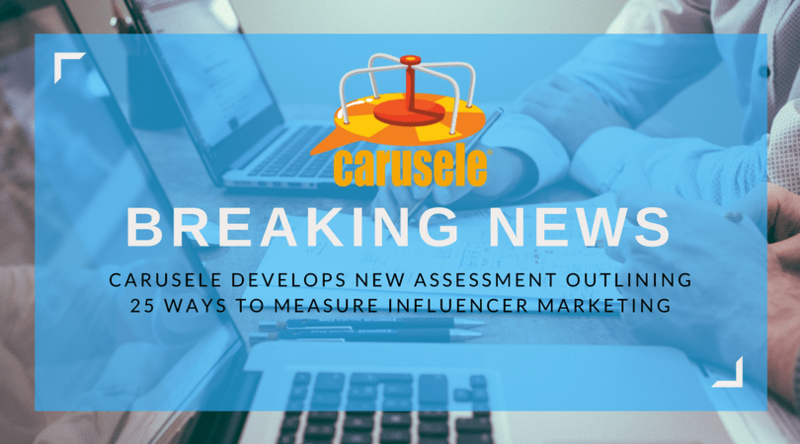 Carusele, a leading influencer marketing agency, announced today the release of a sophisticated new self-guided quiz entitled, “The 2018 Influencer Marketing Maturity Assessment.” The quiz is designed for consumer brands, retailers, and consumer services to evaluate the state of their current influencer marketing strategy while educating themselves on 25 different ways they can measure the value of their investments. The quiz is accompanied by Carusele’s new white paper, 25 Ways to Measure Influencer Marketing in 2018, which Carusele’s Senior Vice President, Erin Ledbetter, helped develop. Carusele, which won the 2017 Small Agency of the Year Award at the Shorty Awards, utilizes a hand-crafted network of over 7,500 content producers to produce premium influencer campaigns for leading brands and retailers. The company was spun out of Ignite Social Media (the 2016 Social Media Agency of the Year Worldwide) in 2015. More at: www.carusele.com.